Final Fantasy IX is now available for the Nintendo Switch and Xbox One. This is one of the most celebrated entries in the long-running Final Fantasy series, and was a huge departure from the more modern set and settings of Final Fantasy VII and Final Fantasy VIII. You can download it now for $20.99 USD. It’s a simple setup — classic, even. Here we have a devil-may-care thief, an unconventional princess with a taste for danger, an overly zealous bodyguard sworn to loyalty, and a young, insecure mage. All of these characters come together through desperate circumstances, and get swept up in a grand adventure that none of them could have foreseen. 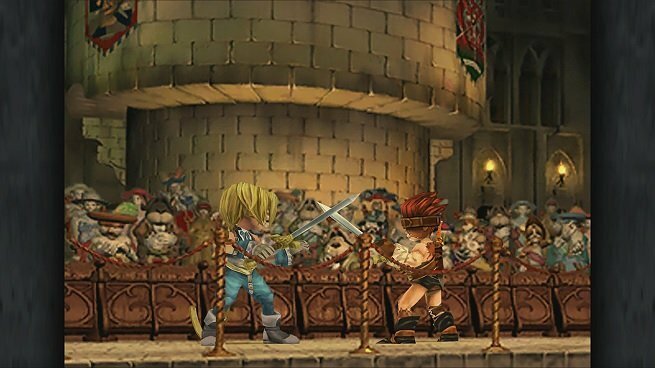 But there’s nothing classic about the enhancements you’ll enjoy while playing Final Fantasy IX on your Xbox or Switch. Square Enix has included various cheats and boosters that will alleviate grinding, which is perfect for players who just want to blow through the story. Autosaving, maxed out gil, battle boosts, increased battle and play speed, and instant skill mastery are among the most useful of these boosters. Do keep in mind that both versions suffer from an annoying glitch that resets the background music after every random encounter. This means that you may never here more than the first 15-20 seconds of a song while roaming an area where random encounters trigger, but thankfully, one of the boosters enables you to disable random encounters altogether.